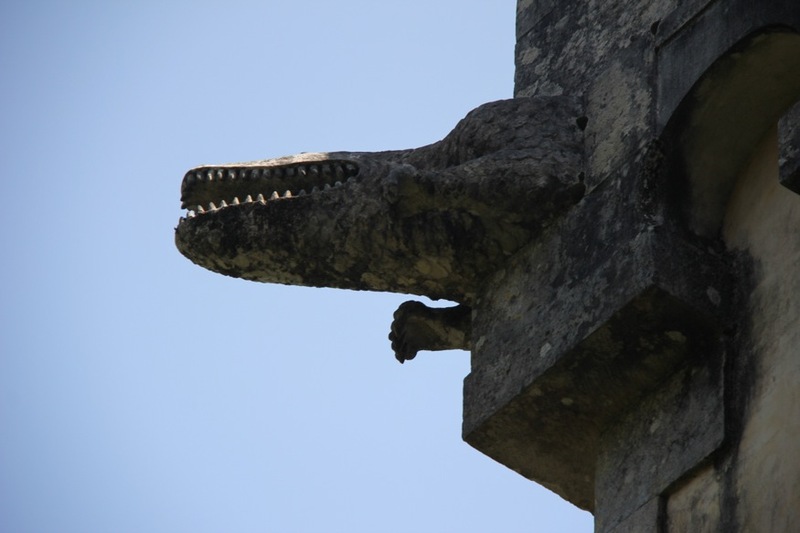 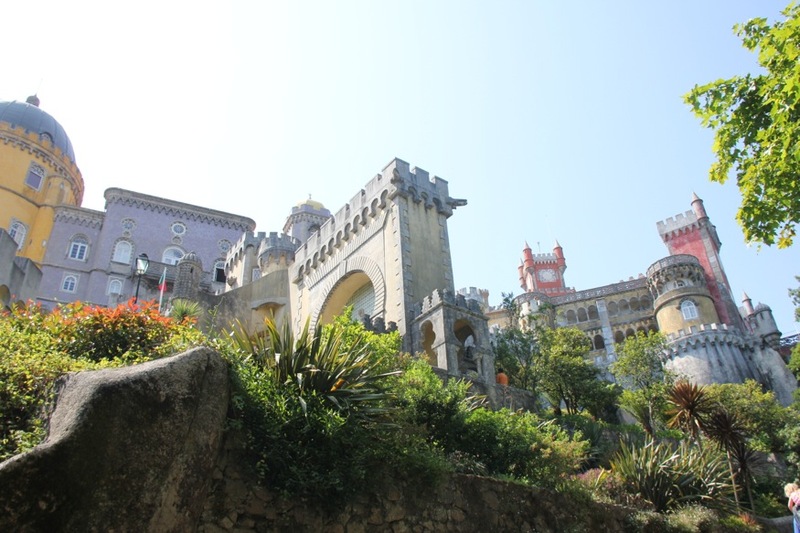 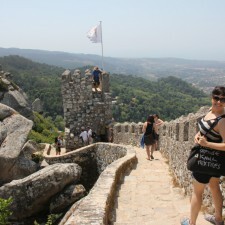 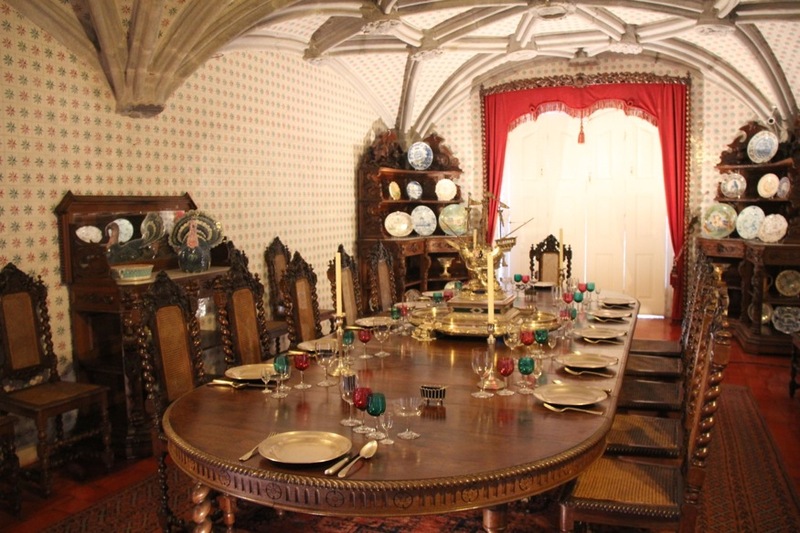 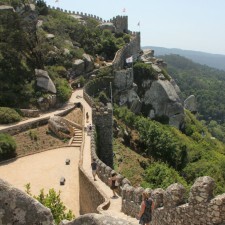 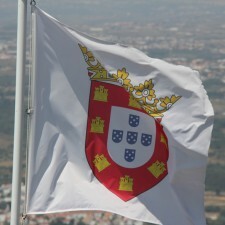 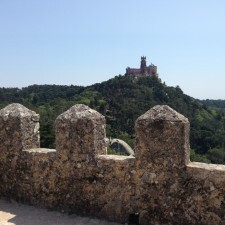 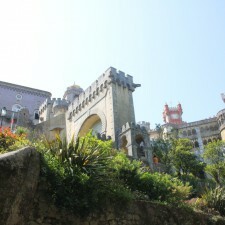 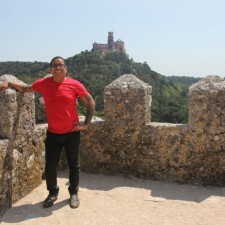 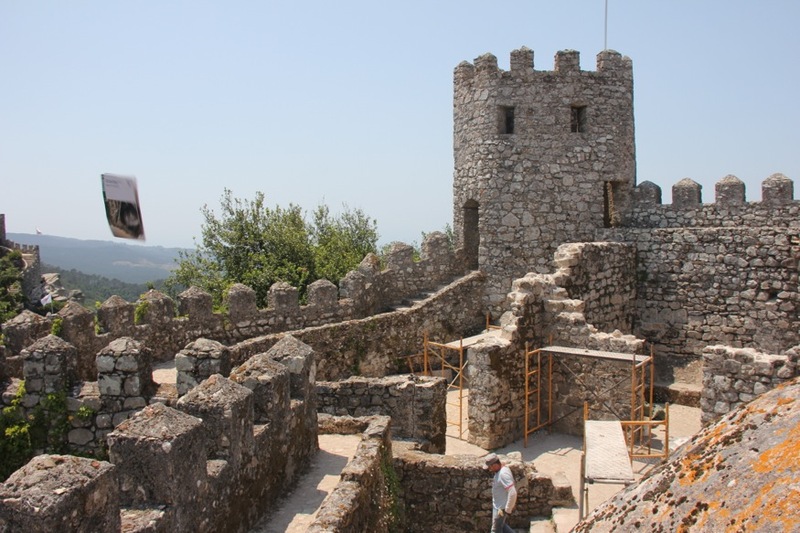 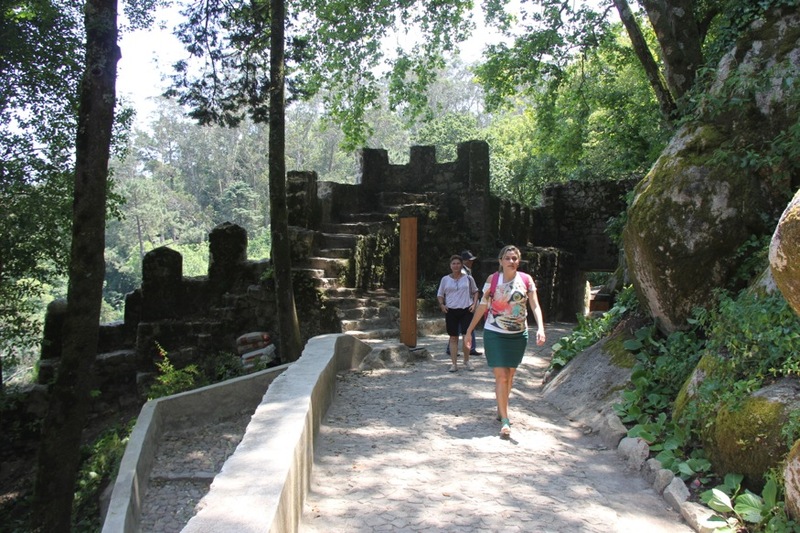 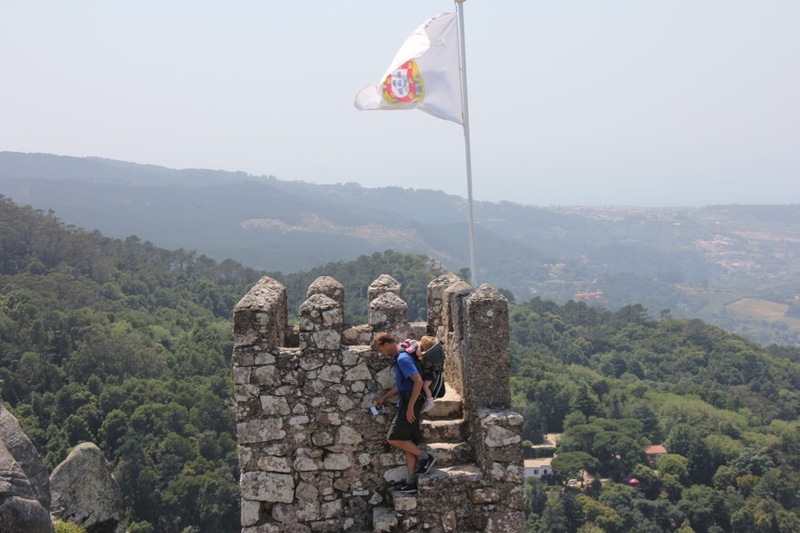 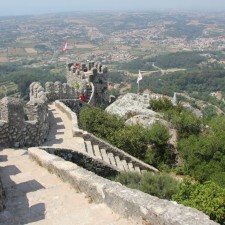 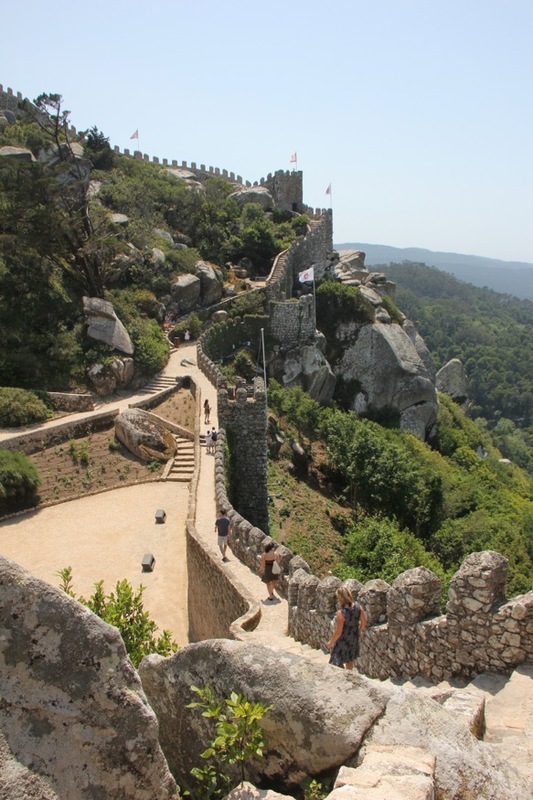 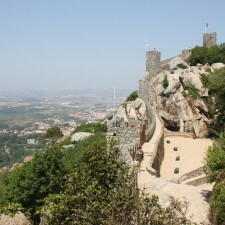 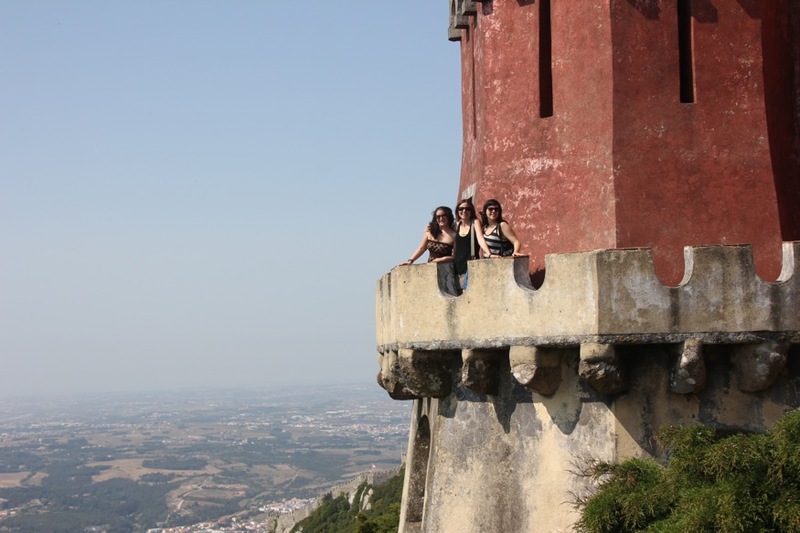 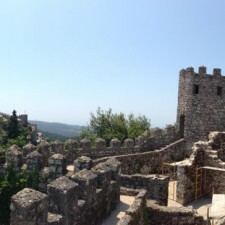 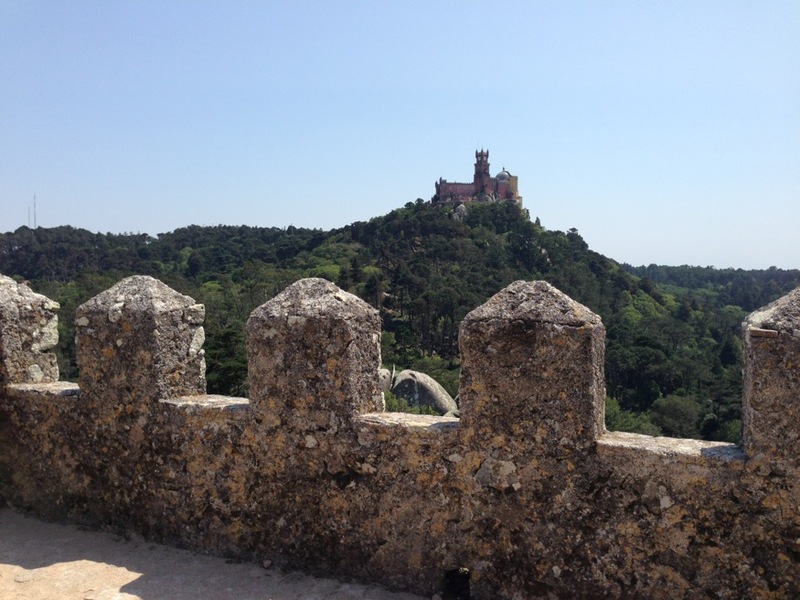 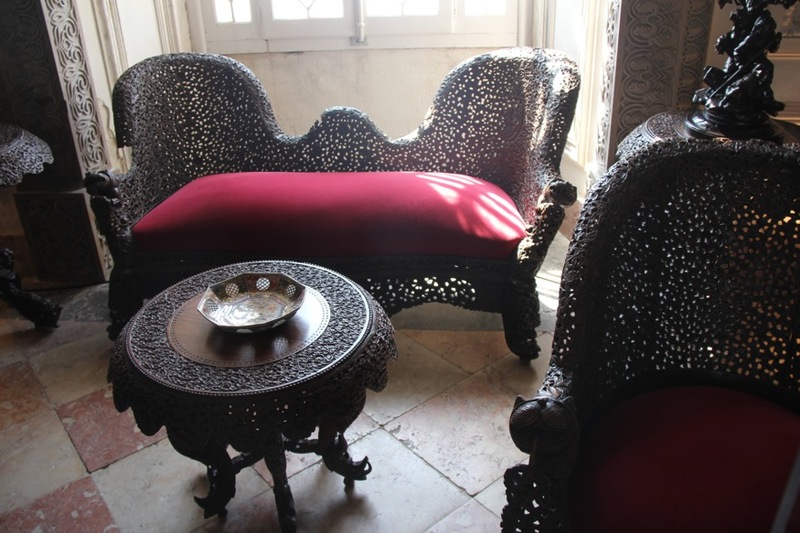 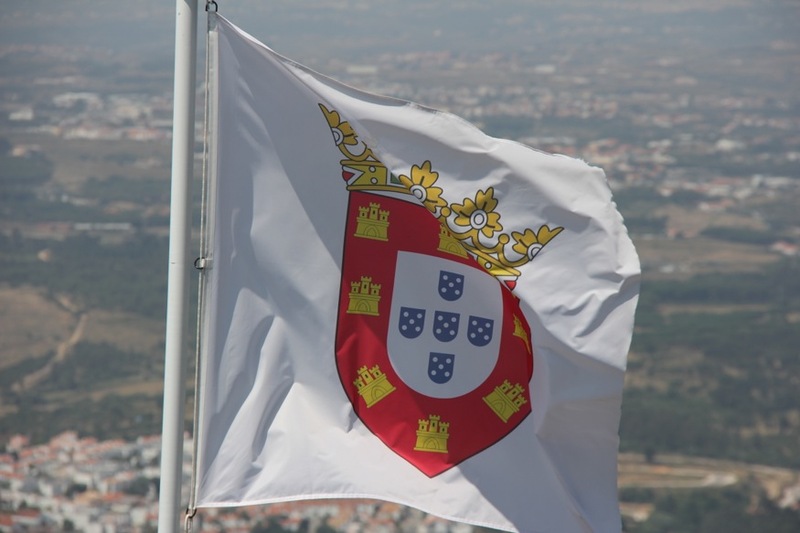 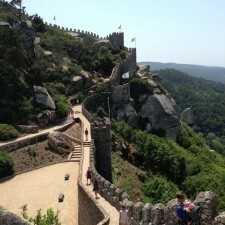 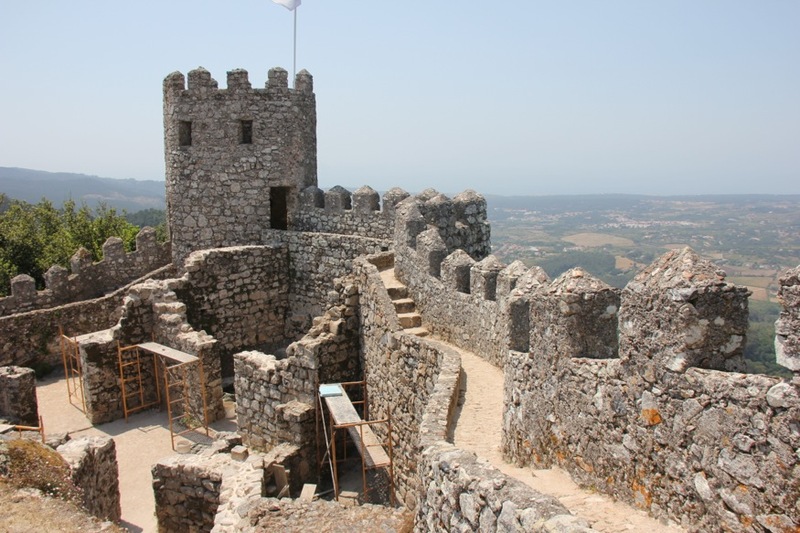 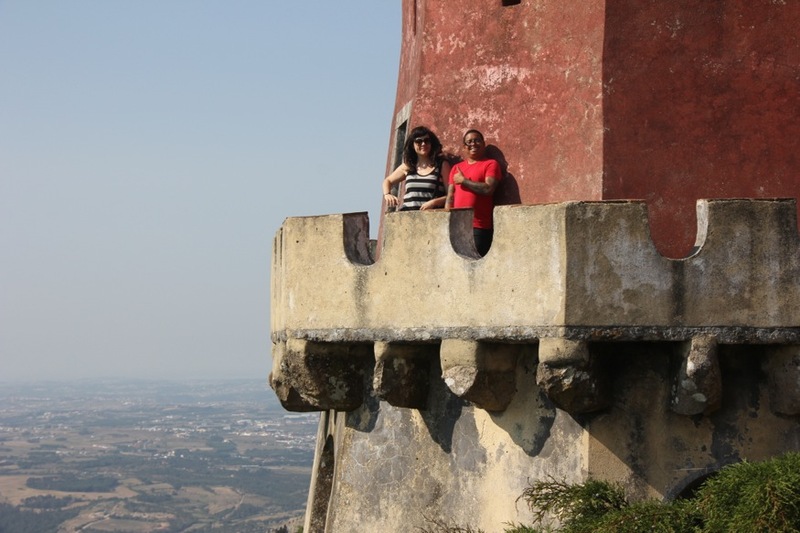 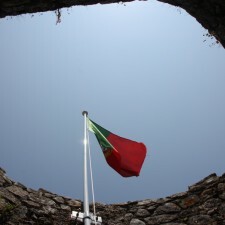 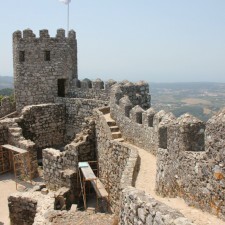 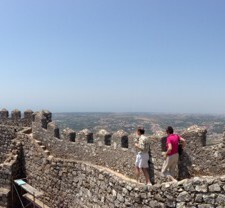 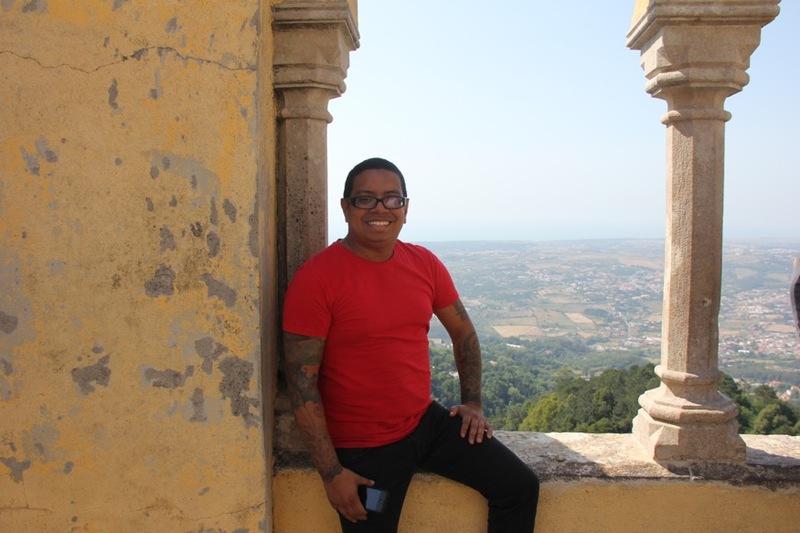 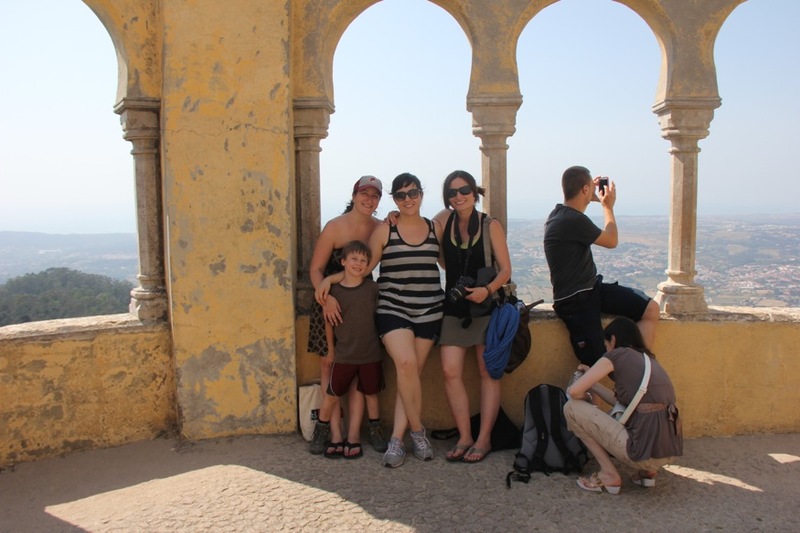 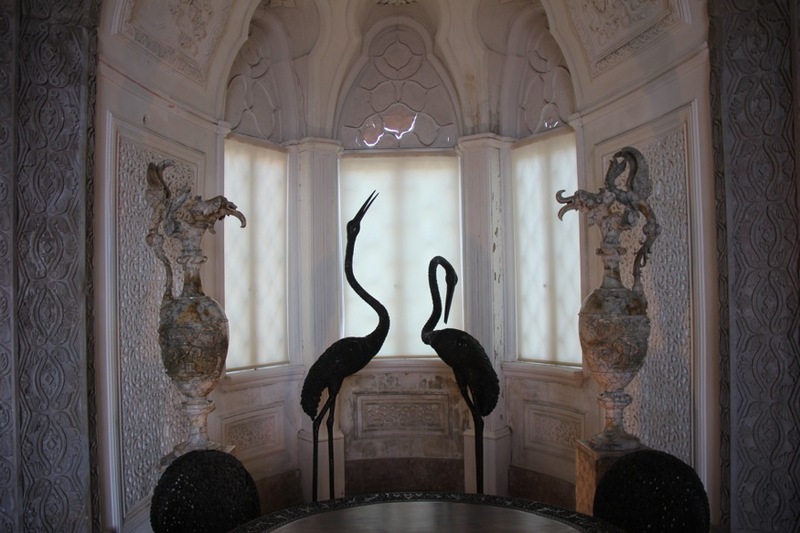 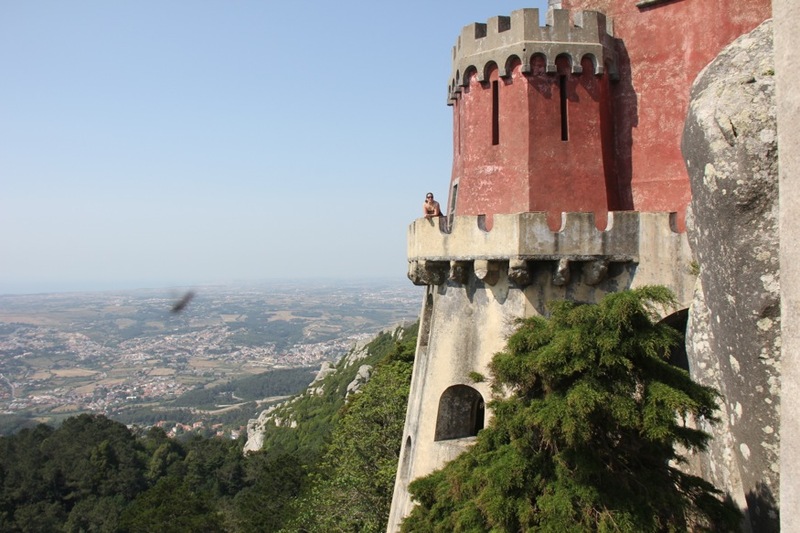 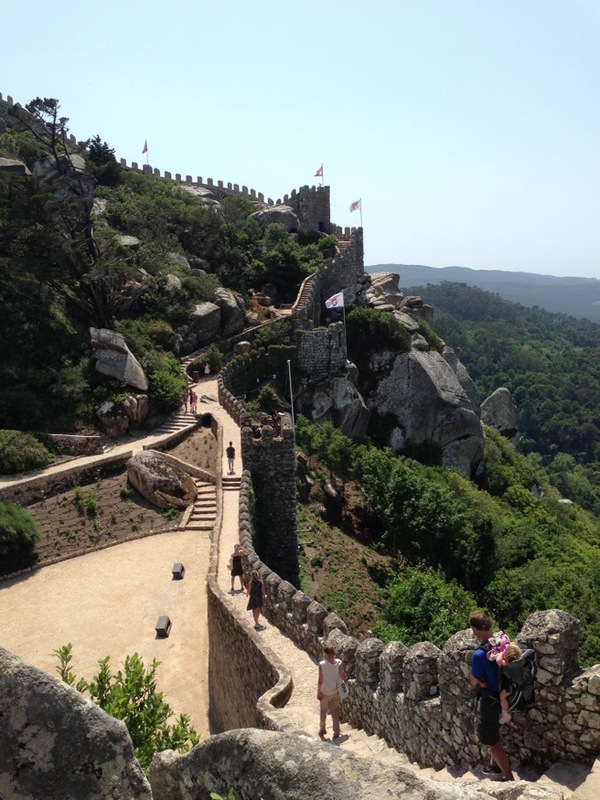 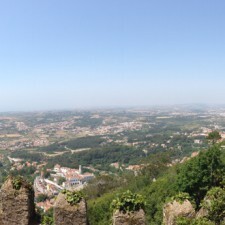 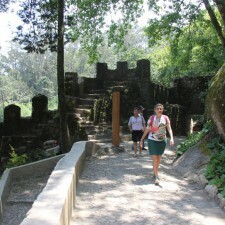 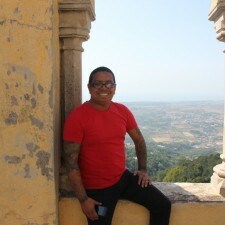 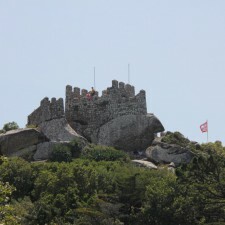 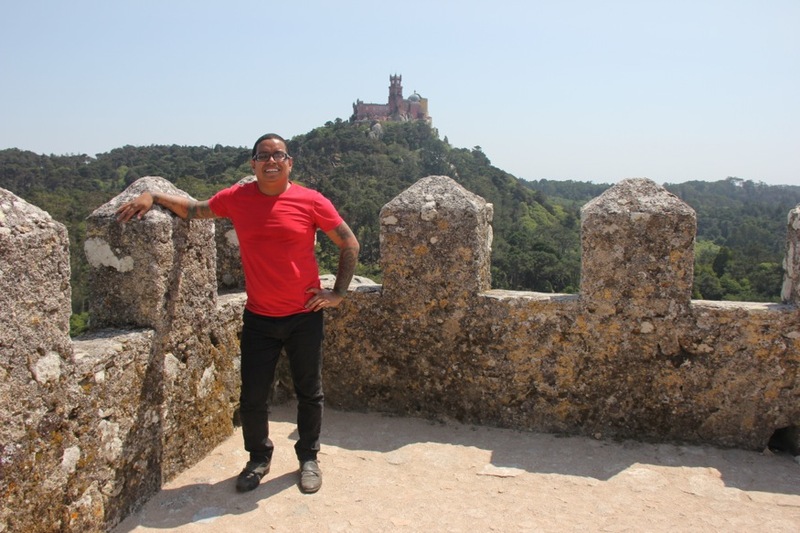 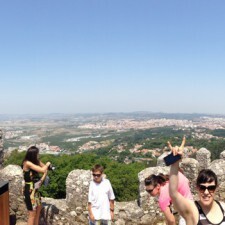 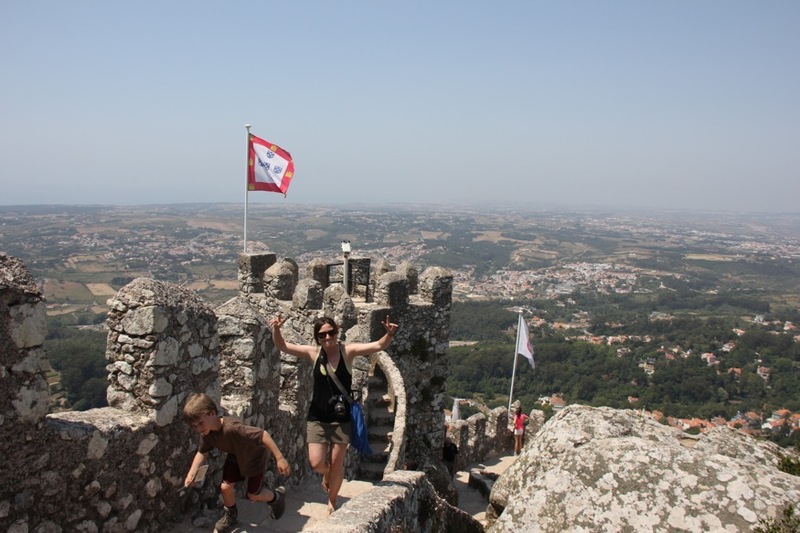 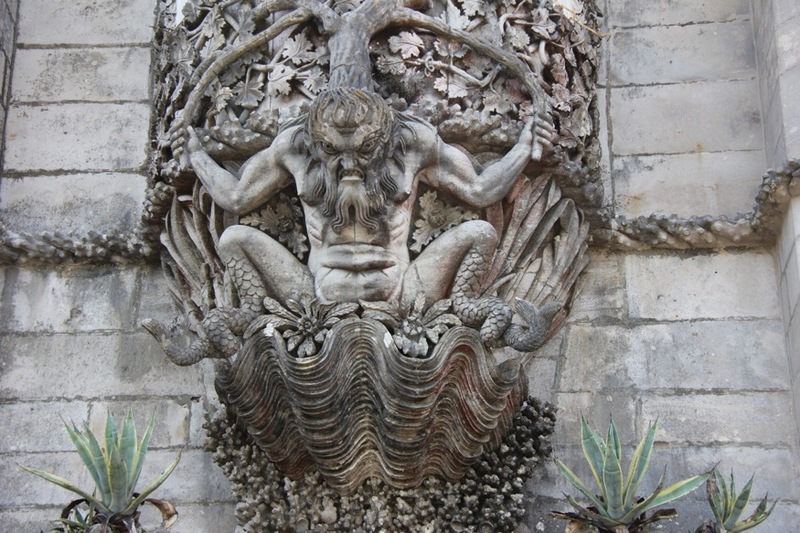 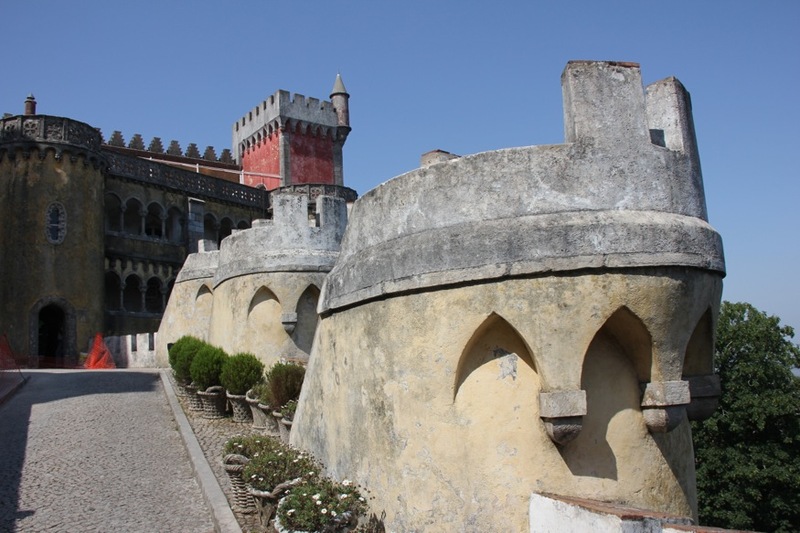 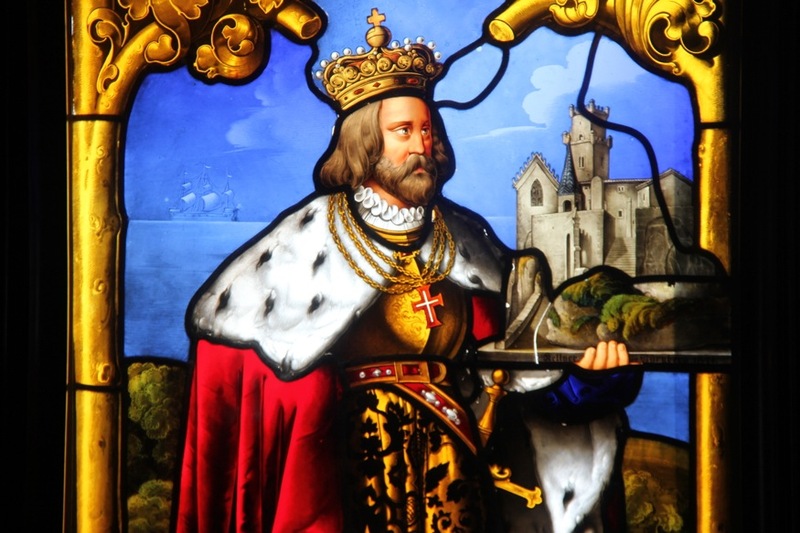 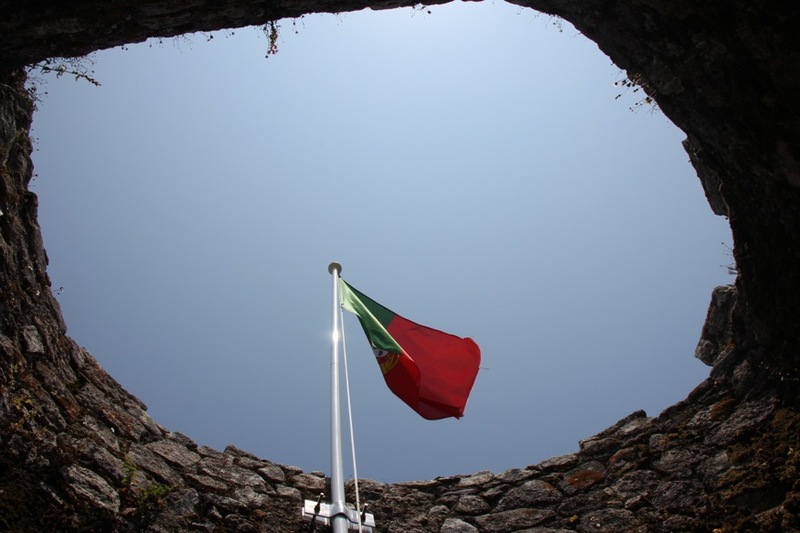 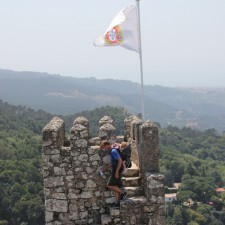 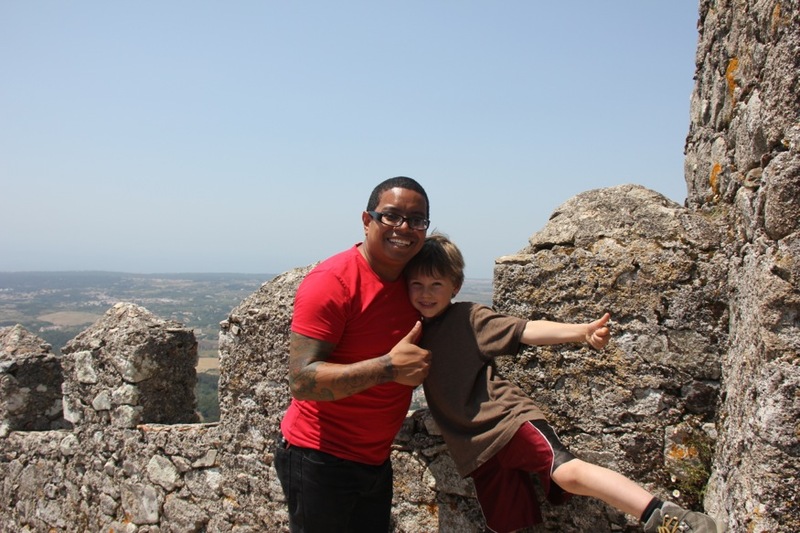 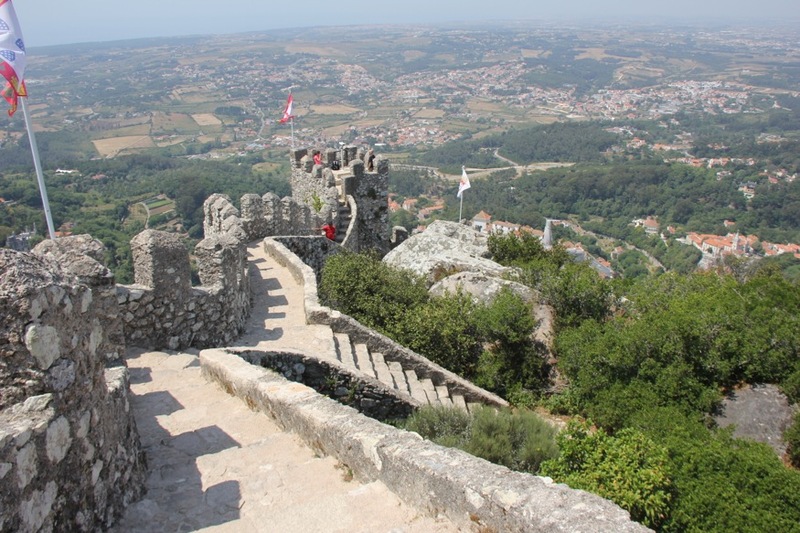 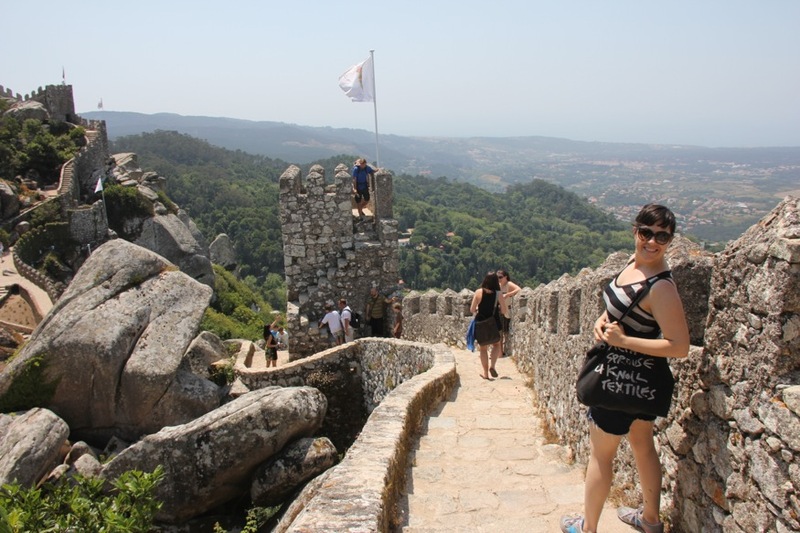 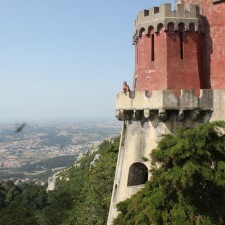 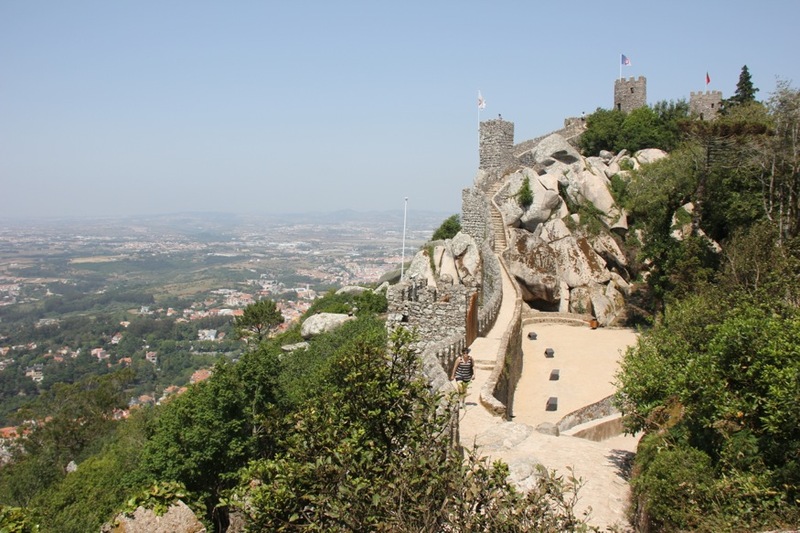 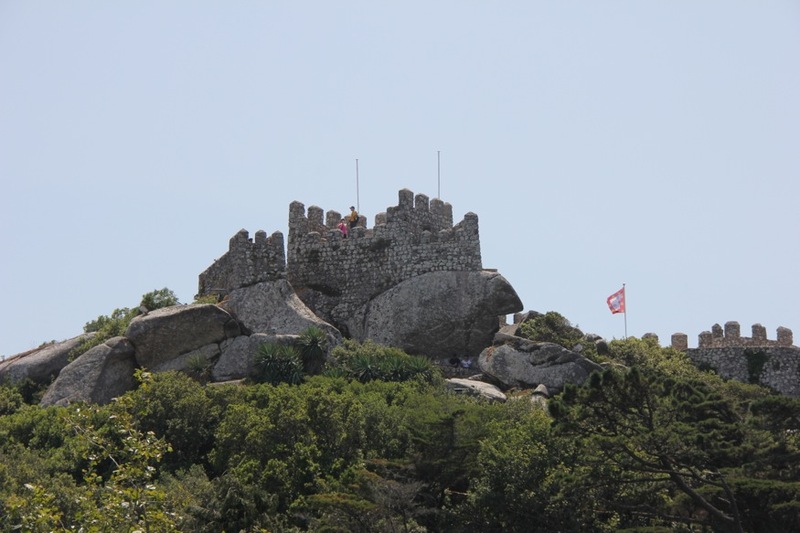 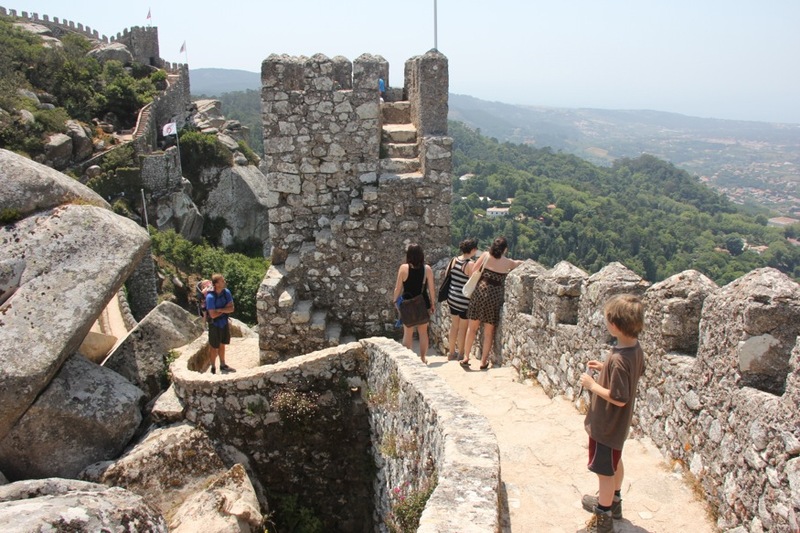 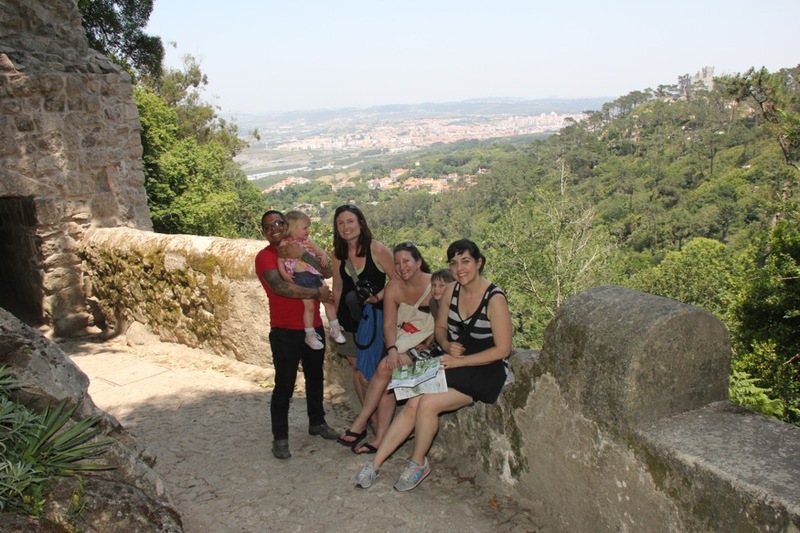 I explored the Moorish Castle and Pena National Palace in Sintras, Portugal (about an hour west of Lisbon) June of 2013. 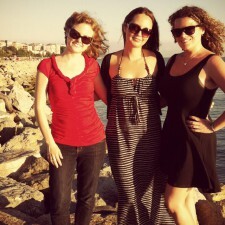 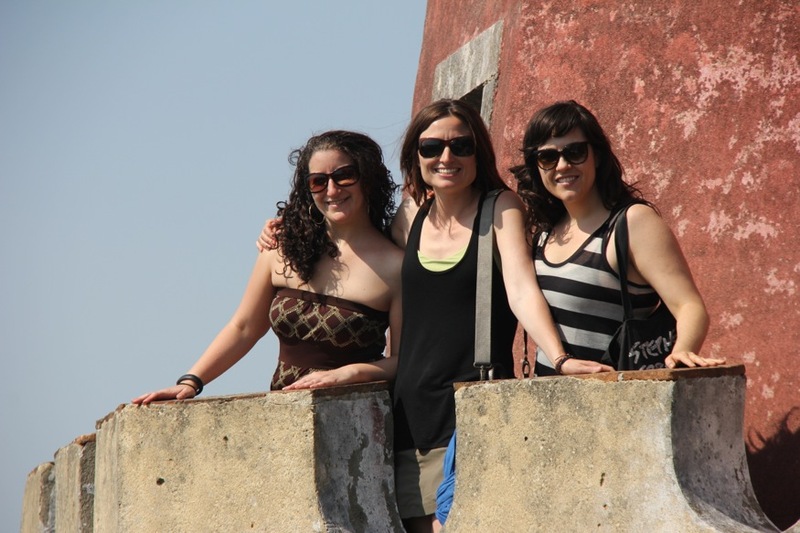 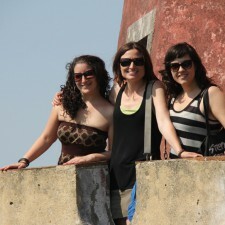 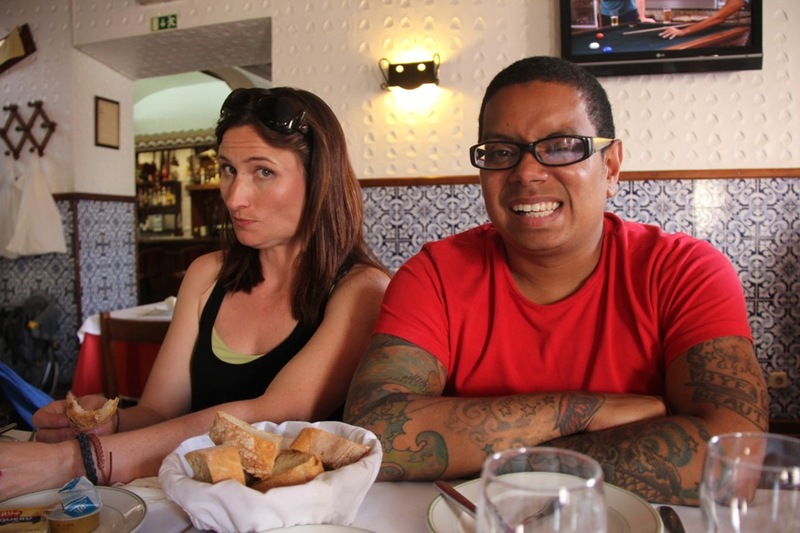 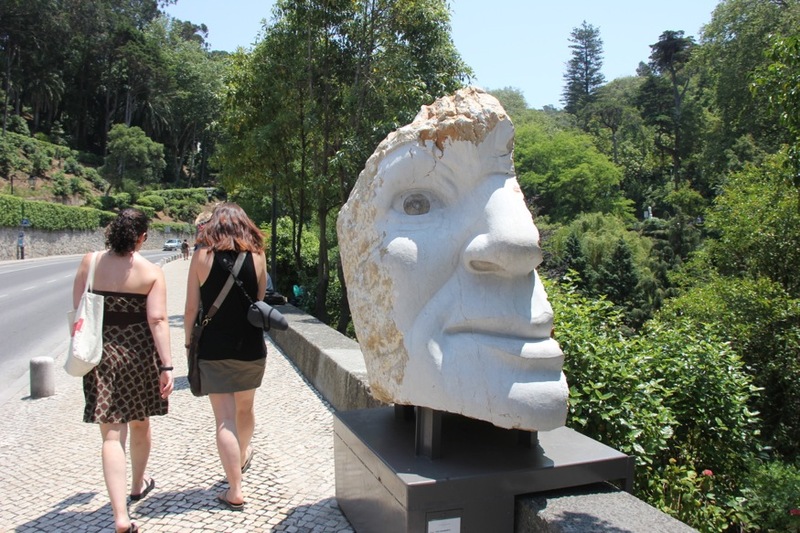 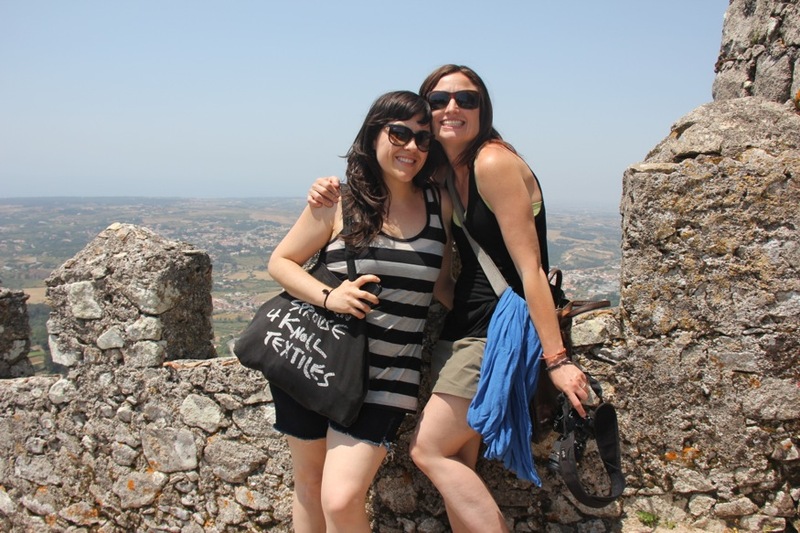 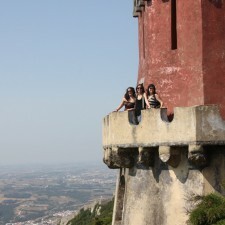 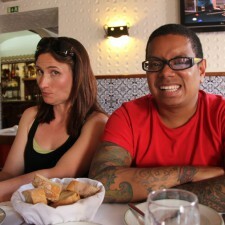 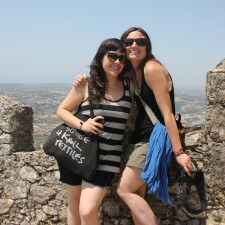 I was living in Barcelona and my friend New York friend Sarah and her friend Emily were visiting Portugal. 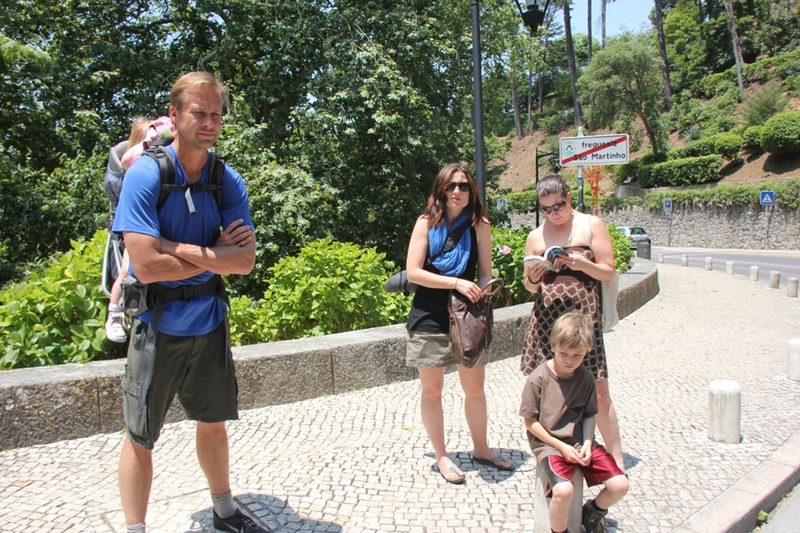 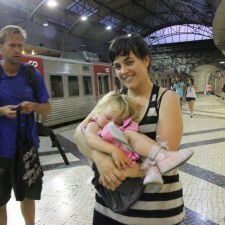 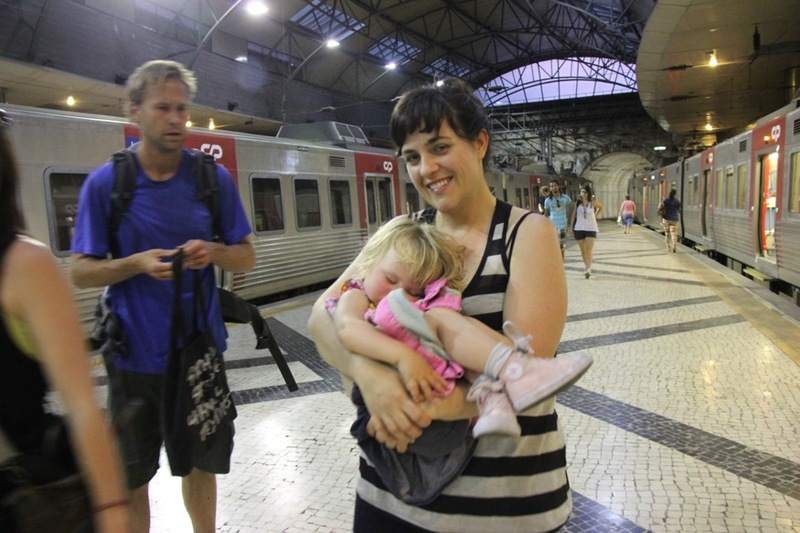 She asked me to join her in Lisbon (I was already in Portugal for the Festa de São João do Porto, so I took a 3 hour train to Lisbon), and I met up with them and their friends Emily and Ryan Rauch, who were/are traveling the world for three years with their two little kids, Oliver and Kendley. 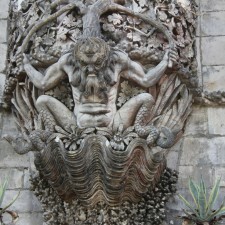 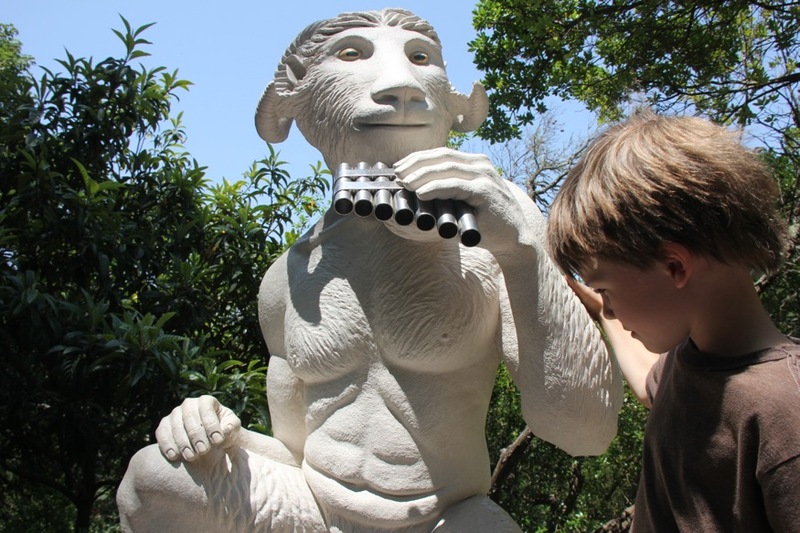 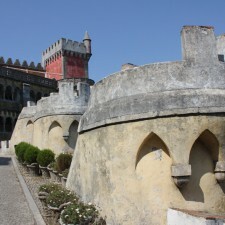 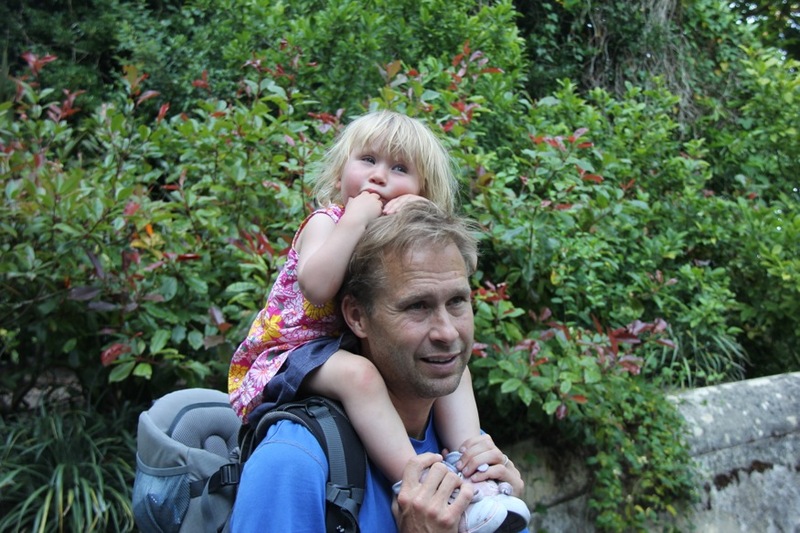 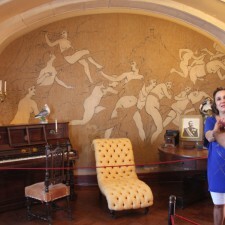 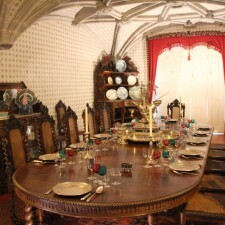 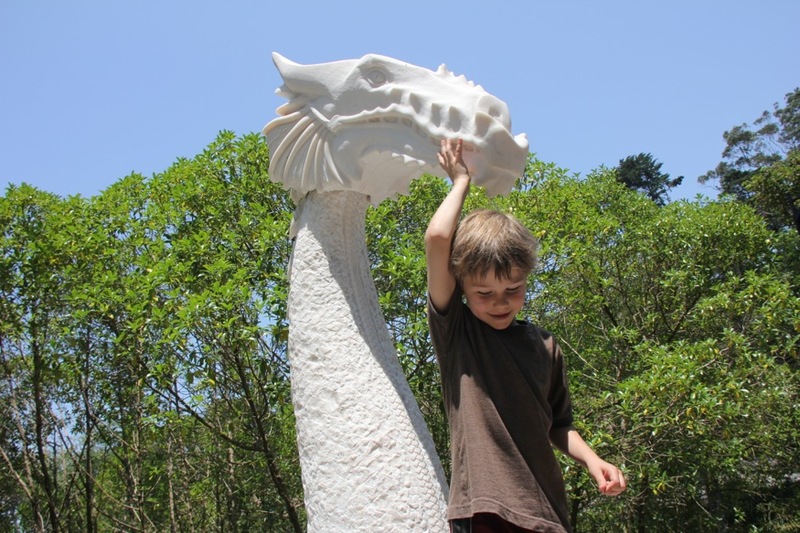 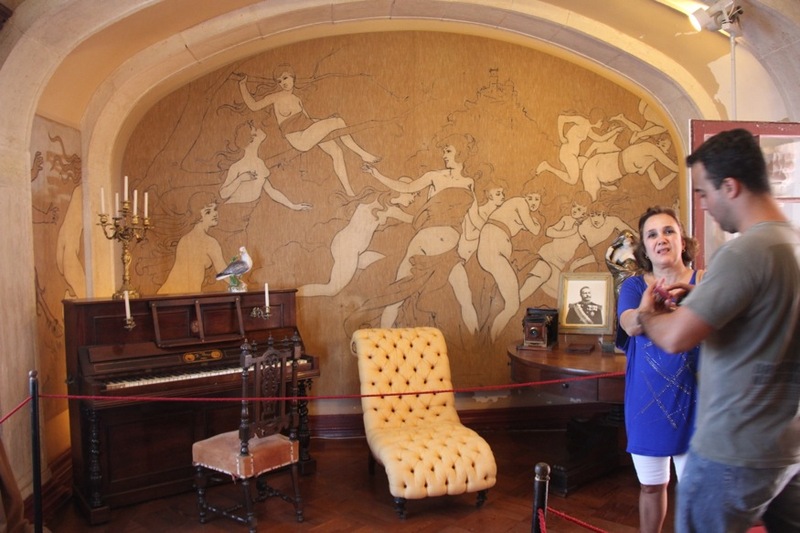 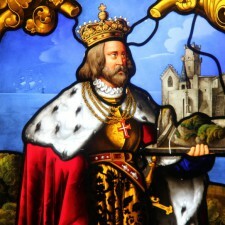 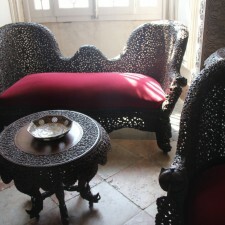 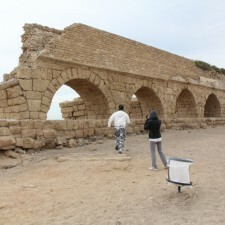 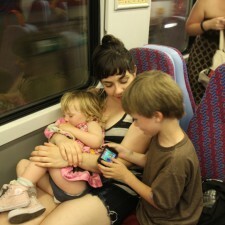 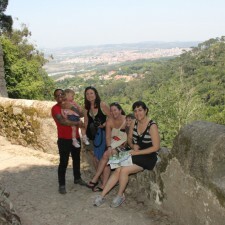 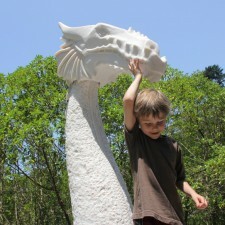 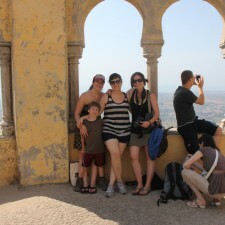 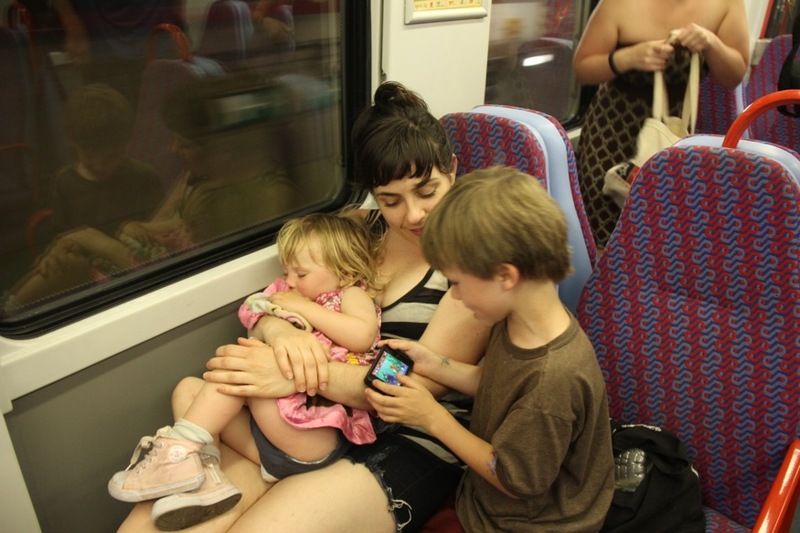 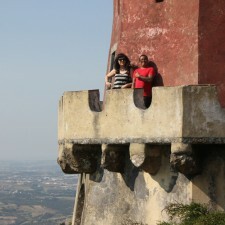 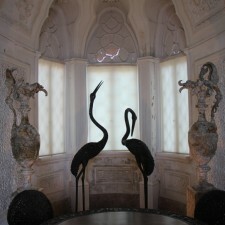 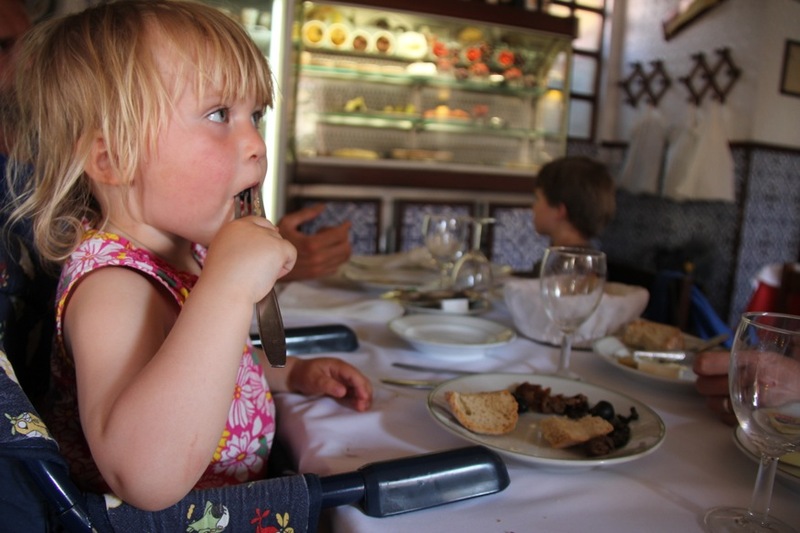 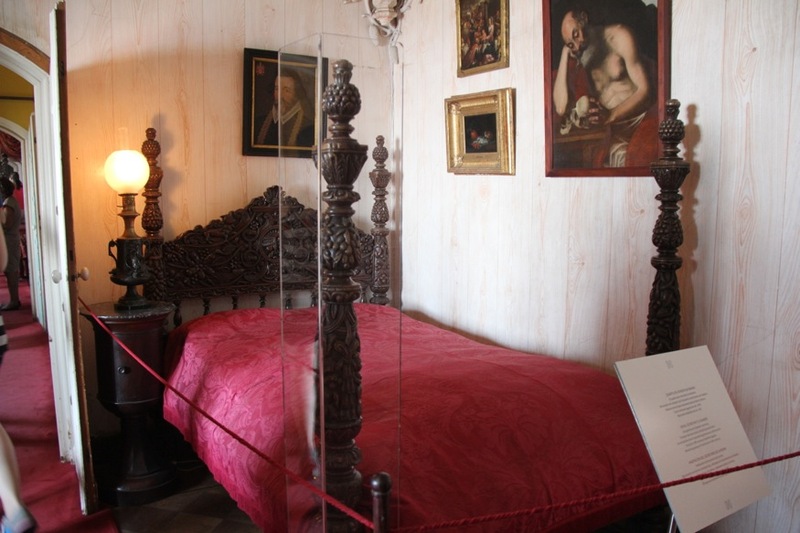 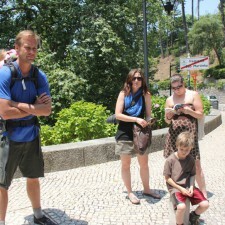 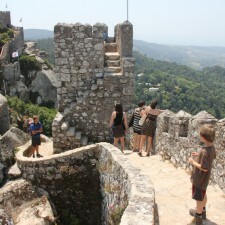 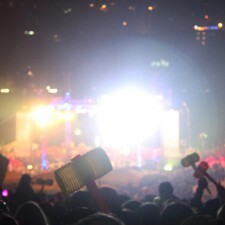 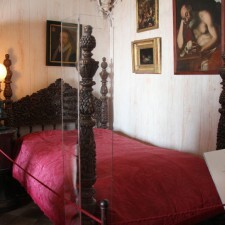 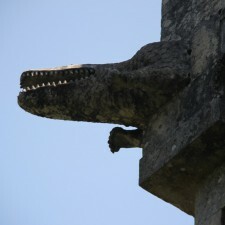 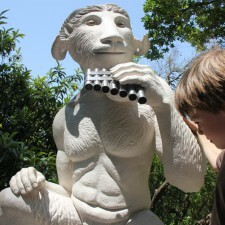 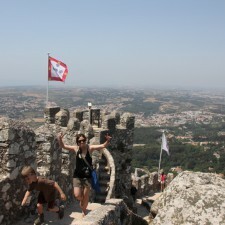 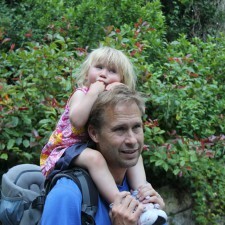 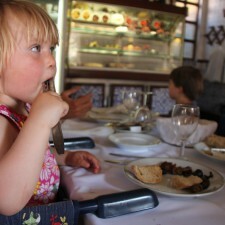 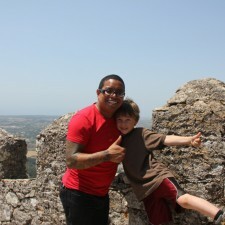 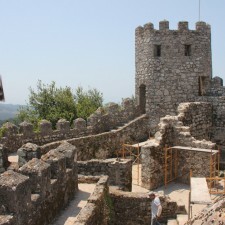 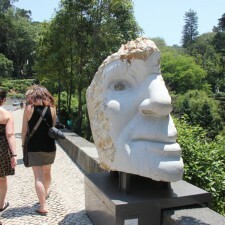 I instantly bonded with the family, who write about their travels at olivertheworld.com.